The Low-Down: Can 'The Best' Human Values Be Instilled In AI - Or Will Nature And Tech Take Their Course? Can 'The Best' Human Values Be Instilled In AI - Or Will Nature And Tech Take Their Course? The bulk of AI development now occurs in large for-profit organizations bound by law to pursue the maximization of shareholder value. Material abundance and novel political and economic structures may fail to create a positive future. 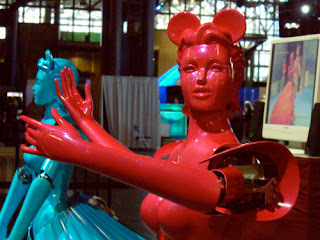 (But) interaction with robot consciousness triggered a change of consciousness in human subjects. Statistically the positive effect was quite significant across all cases.